This French-style pastry shop is managed directly by the chef-owner, and proudly displays the superb craftsmanship of its patissiers, who have honed their skills at prestigious hotels over many years. 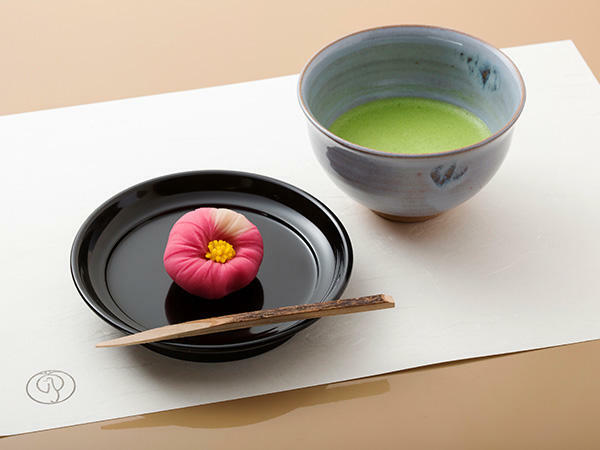 They offer roughly twenty kinds of namagashi (traditional unbaked Japanese sweets) and twelve to thirteen kinds of baked delicacies, from simple yet refined cakes to Japanese-style tiramisu served in a traditional masu box. 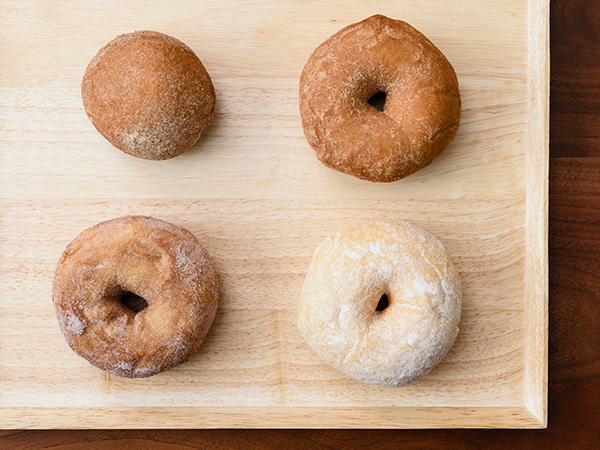 This doughnut store ferments their batter in order to further bring out the delicious taste of the wheat flour, sugar, and oil used in the dough. To go with your doughnuts, they also offer perfectly matching specialty coffee or Chinese tea, and at lunchtime they prepare a limited number of sandwiches. They also provide an eat-in space. 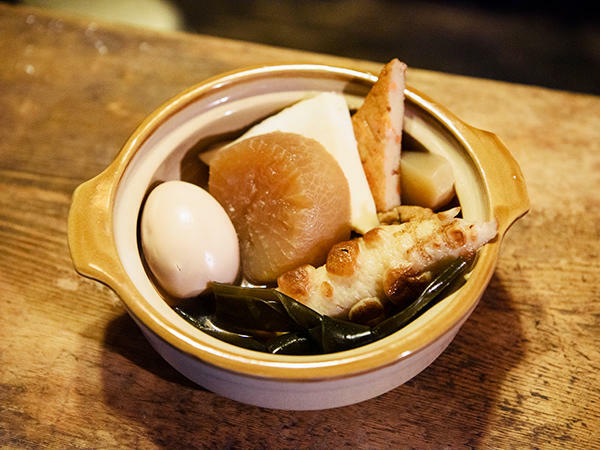 Minafuku specializes in take-out oden, a winter hot-pot specialty. 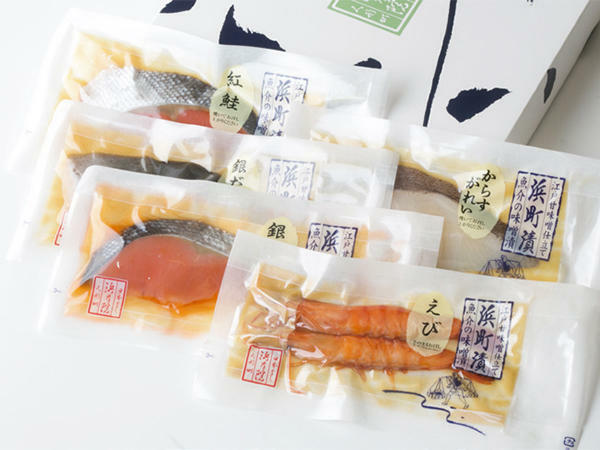 Their broth is made fresh every morning and is added to throughout the day, using dried sardines and high-grade katsuobushi that they have been using since the store was first established. They focus on minute details, such as making sure the Japanese radishes fully absorb the rich, savory flavor of the soup stock before they are served. 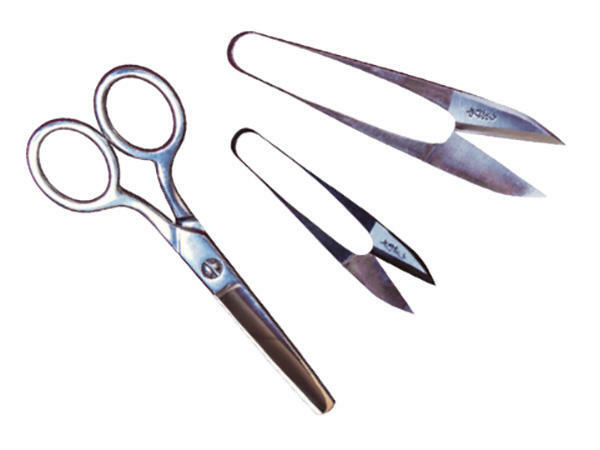 Cohana boasts a wide selection of handicraft tools that display exquisite Japanese craftsmanship. 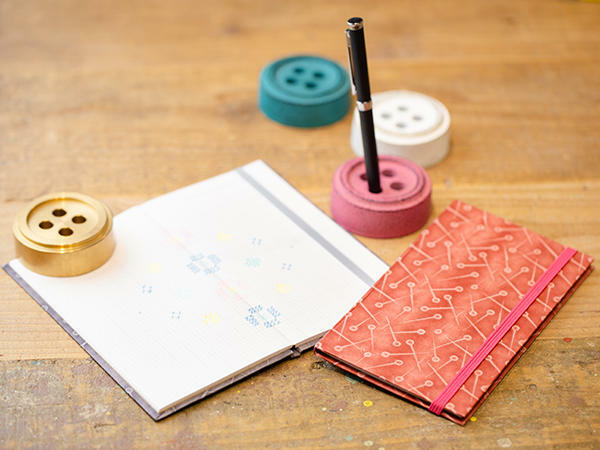 They incorporate a wide array of ideas into their user-friendly designs so anyone with an interest in crafts can easily pick them up, no matter their experience. Cohana uses five traditional colors that have a basis in Japanese lore and consider each item’s region of origin and manufacturing process akin to a story in and of itself, making them perfect gifts to treasure. 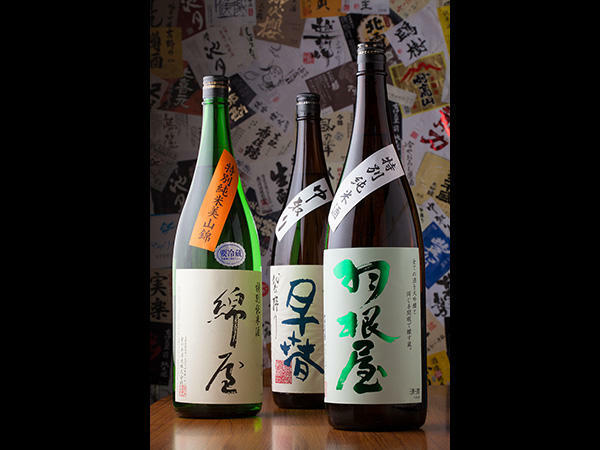 Hasegawa Saketen boasts a carefully curated selection of sake gathered from breweries all across Japan. 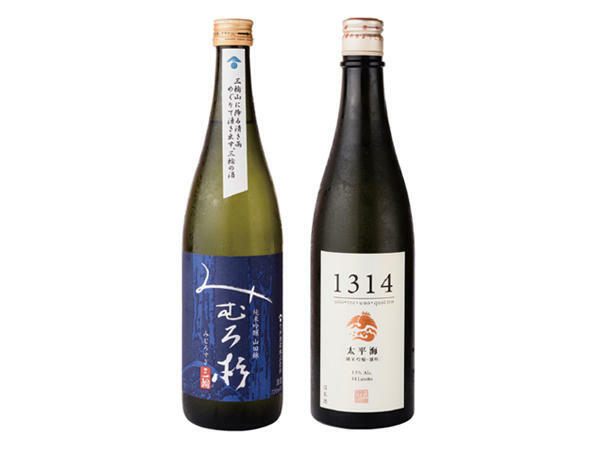 Over 700 different kinds of sake line their refrigerators, each carefully temperature-controlled, and highly-knowledgeable specialists are available for consultation to help each customer find the perfect bottle for any occasion. Inside the shop you’ll also find a wonderful collection of regional drinking vessels made from clay, glass, and more. Refer to website for bar hours. Tangram is a western confectionary store in Tokyo, selling fresh cakes, pound cake, biscuits and more, all made to bring to the forefront the taste of seasonal fruits. 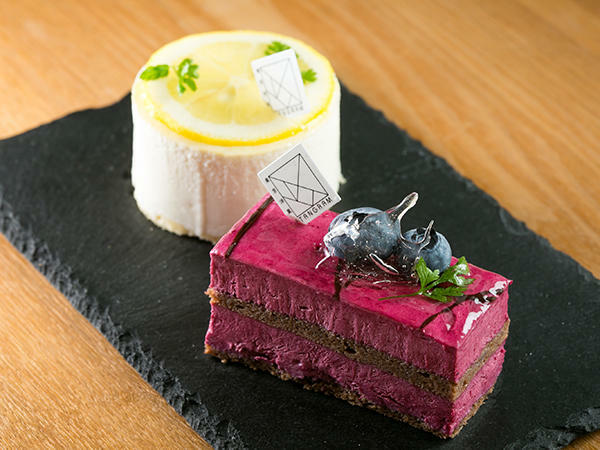 The taste of mousse shines through in their fresh cake, and they are careful to ensure that it is smooth and melts in the mouth. Their pound cake is known for being made with cultured butter to create an especially soft, moist texture, making it perfect to give as a gift. 123BAGEL uses high quality rice flour, yeast, and wheat to make their bagels. 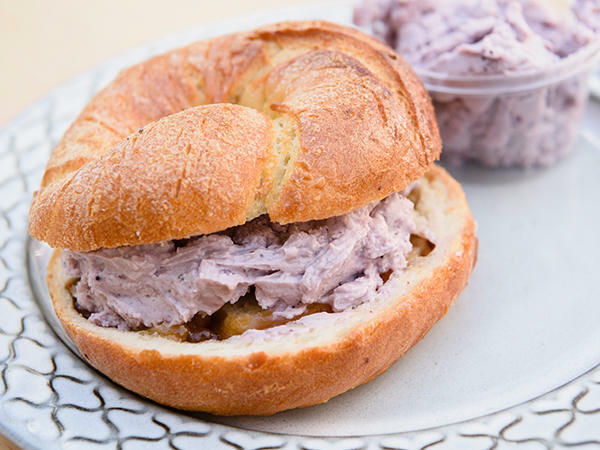 They offer a range of flavors, from the classics such as plain, rock-salt, and walnut-and-maple, to unique bagels incorporating Japanese flavors. With a full and varied sandwich menu as well as a wide variety of toppings, you can mix and match to get exactly what you want. Tues – Sat 11:00am – 2:00pm, 3:00pm – 5:00pm ※Closes early if sold-out. Zakka shop Green boasts a wide assortment of products, including confectionery, juice, handmade accessories, decorative plants such as succulents, and more. Their selection includes organic items and popular imported goods which are perfect as small souvenirs for friends and family. 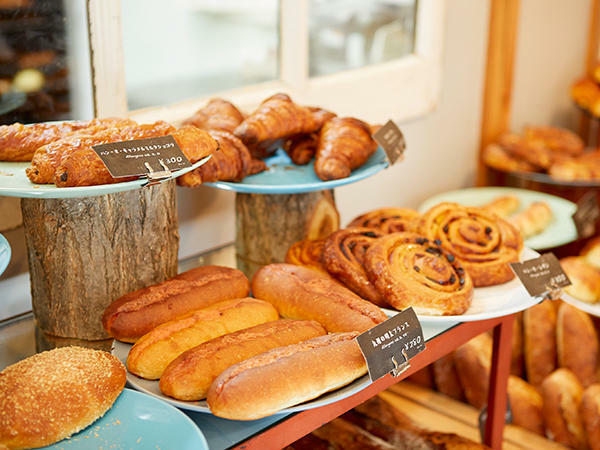 This small downtown bakery, opened by highly skilled chefs who trained in a renowned bakery in Ginza, is well known for its delicious bread. They bake over 45 different types of breads every day, including their fresh baguettes, which draw out the taste of the wheat. They also collaborate with local historical shops to use ingredients such as mashed soybeans for their unique breads. 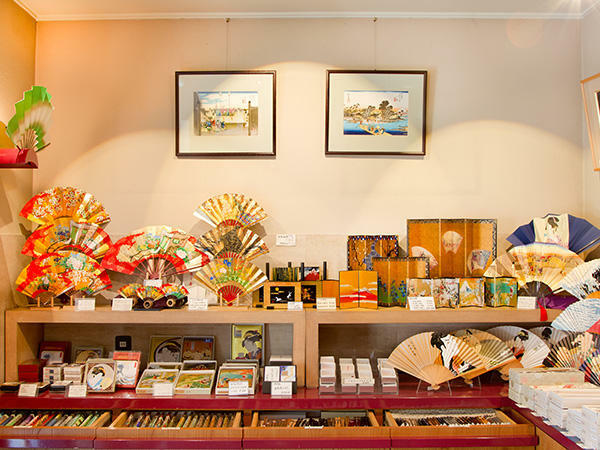 At Matsukin, they stock various original items, including over 100 kinds of goshuincho (stamp book used to collect shrine seals), ippitsusen (writing paper used for short notes or messages), small money envelopes, and tenugui hand cloths. 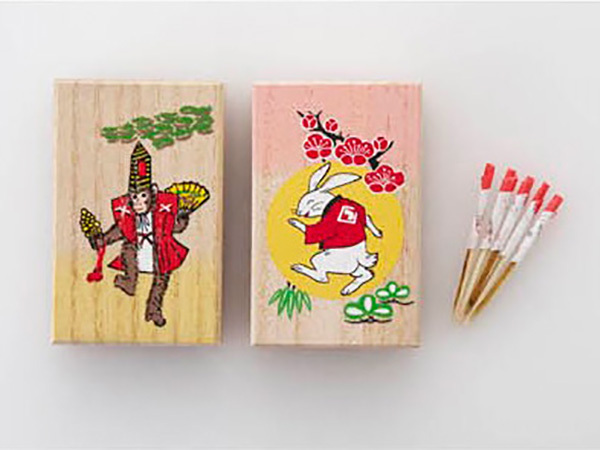 Their bamboo ippitsusen have designs such as ukiyo-e prints or illustrations that give a sense of the Edo period, and some come in a box making them perfect as a gift or souvenir. Closed Sun, Mon, Japanese national holidays and New Year’s holidays. MONOTIAM is a select shop with works collected from 70-80 creators from both inside and outside of Japan. There are plenty of cute and uplifting products that will appeal to a girl’s heart. Their product lineup changes monthly, so every time you visit is like a new experience. Nakagawa Masashichi Shoten has been trading in hand-picked, hand-woven hemp fabric for over 300 years. 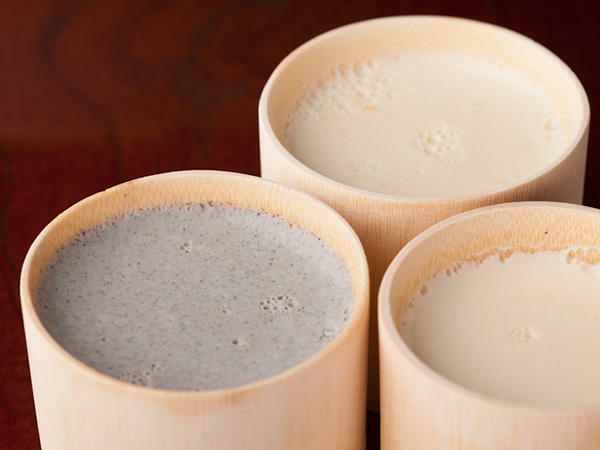 Aside from their daily-use cloths made from kaya, a- traditional mosquito net fabric, one of their popular items is their Hasami porcelain soba-choco, or small cups used for dipping sauces, which can be used for drinking tea or serving small portions of side dishes. 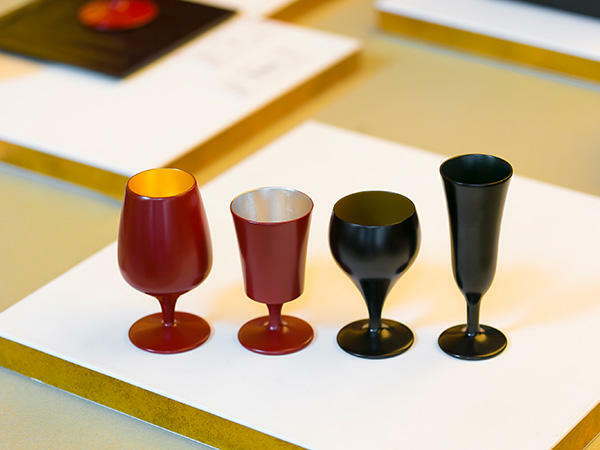 At Nakagawa Masashichi Shoten, their items are perfectly suited for modern life while still being based in Japanese tradition. 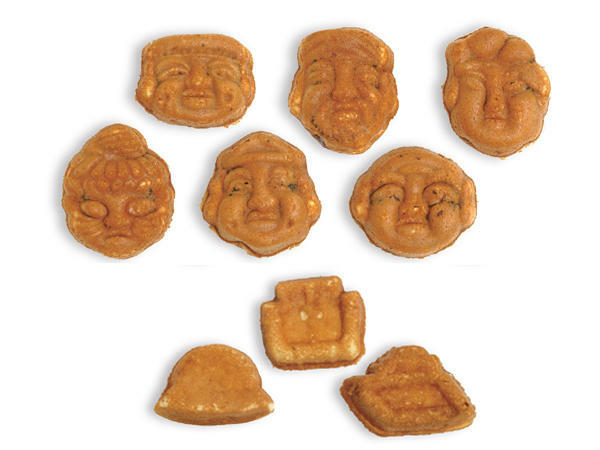 A popular store selling moist ningyo-yaki, or little cakes baked in molds, that practically melt in your mouth. Their ningyo-yaki are skillfully baked by the artisans to have a thin outer layer of cake and be packed full of koshi-an red bean paste. They are available to purchase separately, so you can buy just one to eat while walking or get a box to give as a present. A store selling Hamacho-zuke, made with filleted fish or similar pickled in a sweet miso from the Edo period, and other delicacies. 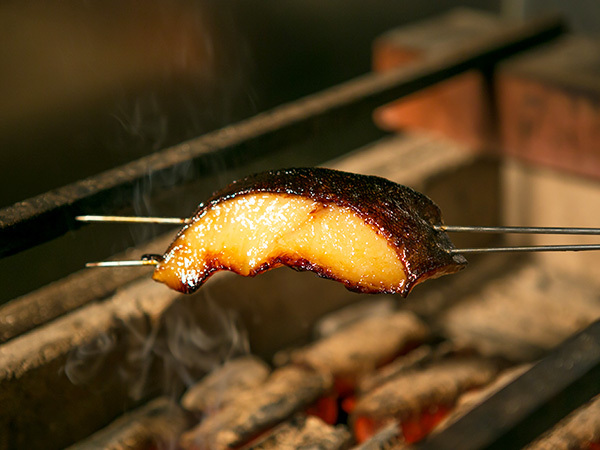 Their Hamacho-zuke, carefully flavored so as to add the delicious miso yet leave the essential taste of the fish, is a must-try. With their Hamacho-yaki, the packaged grilled fish can be easily cooked in the microwave for you to enjoy the taste of grilled fish in your own home. 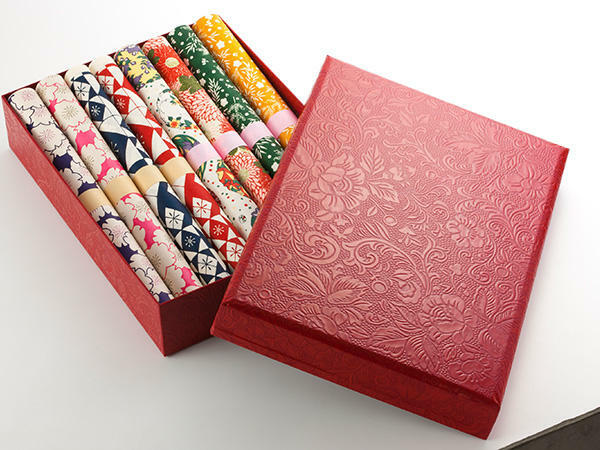 Kawakami Shoten is a chopstick specialty shop that has more than 500 types of chopsticks. They stock a wide range, from chopsticks that are particularly easy to hold and use, to modern designs that incorporate a chequered style made by specialists in Hakone Yosegi wooden mosaics. There’s something for everyone, whether you’re looking for yourself or for a special present. Amidst the more than 20 varieties of beautifully-crafted cakes, healthy cookies, and chocolates to choose from, the ‘Mont Blanc’ has been their most popular dessert since the time of establishment. 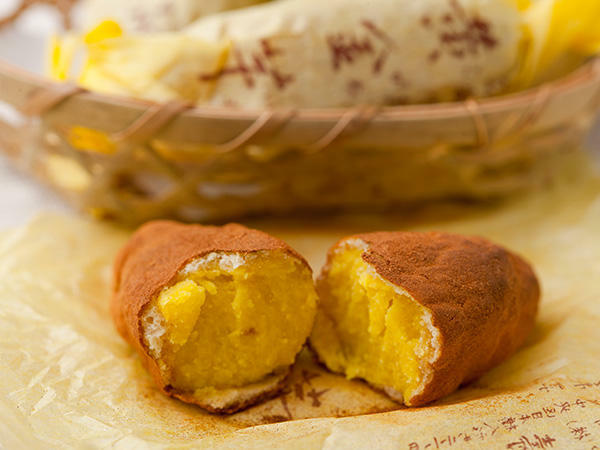 This light yet delicious dessert is generously topped with a fresh cream and custard mixture and wrapped with chestnut paste. 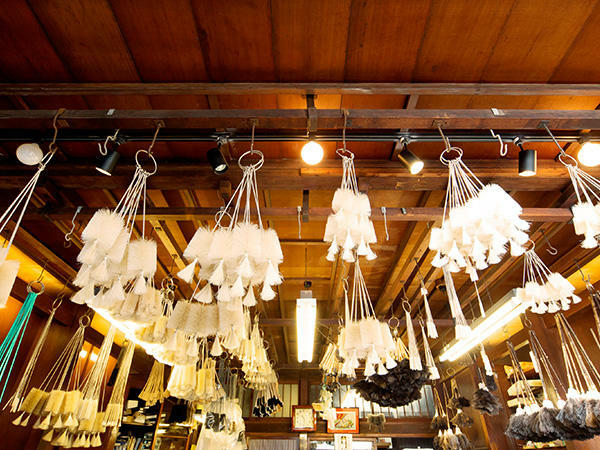 A handkerchief specialty store with items made from the finest materials. 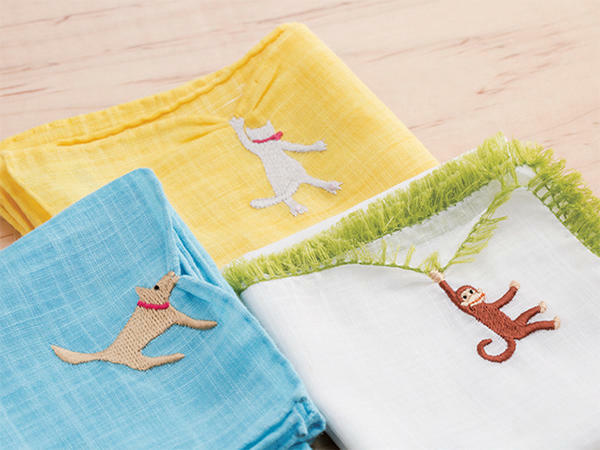 They stock a range of products made from rare types of high-quality cotton or with unique designs such as animal patterns on the borders. With a wide range of handkerchiefs, you can find the perfect item for any situation, either business or private. 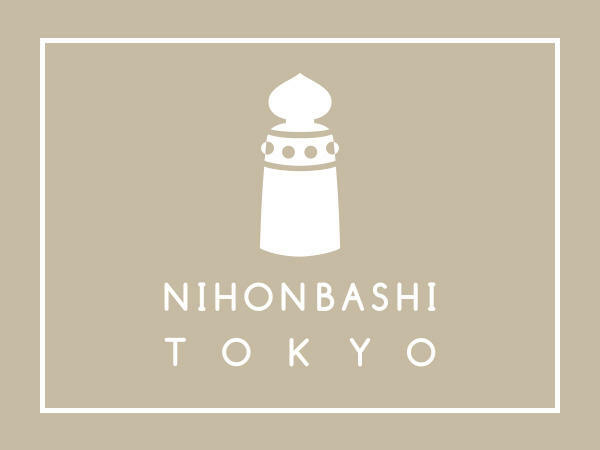 Nihonbashi Nichigetsudo is a historical Japanese confectionery shop that has been in business for the past 140 years. Since their opening, they have made each sweet with care using specially selected ingredients. Their sweet made of glutinous rice mixed with apricot fruit paste on the outside and stuffed full of apricot bean paste and fresh cream on the inside is an extravagant confectionery recommended for visitors from around the world. A nut and dried fruit specialty store. 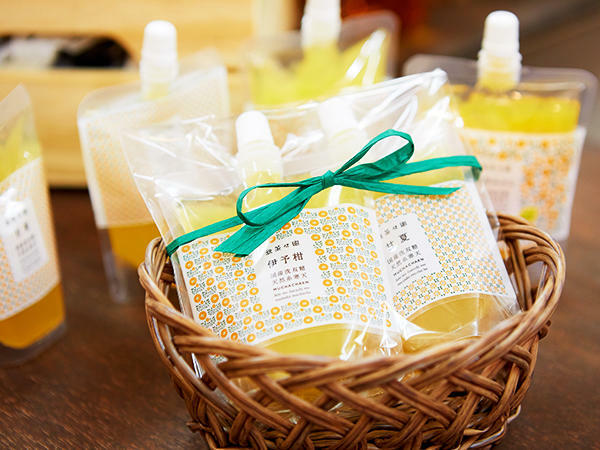 Using carefully selected ingredients from the producing regions, a wide range of products is sold, including fruit honey preserves, nut paste, nut oil, jelly and other sweets. It is also possible to combine several products together to create a gift. 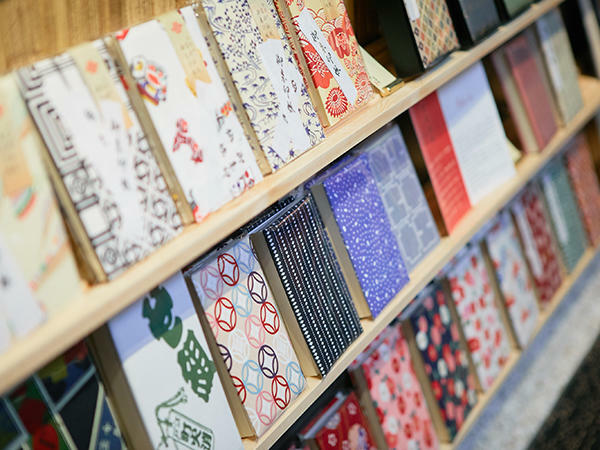 A Japanese paper specialty store that utilizes traditional Japanese methods to create modern products made of high-quality Japanese washi paper. One of their recommend items is their traditional fans. These fans are light and cooling, and are see-through from the front. 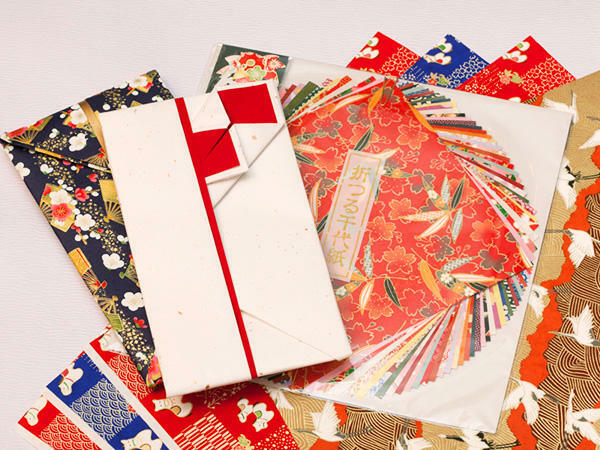 In addition, their postcards and bookmarks made from handmade paper from Ehime Prefecture and decorated with metallic foil, are also popular. Hinata-Note is a boutique with a collection of ceramics, glassware, dyes, metal works, woodworks and leather goods. These carefully-made handmade products give off an air of warmth, so you’ll want to use them forever. For a limited time they are holding an exhibition too, so take the chance to find your unique item. 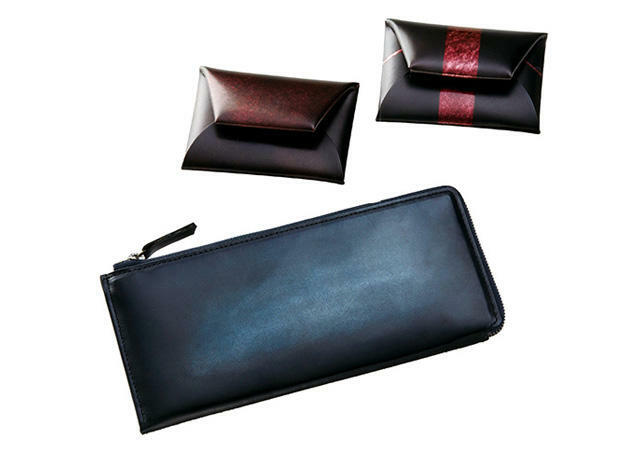 A specialty wallet store by a leather accessories manufacturer. They have a wide range of wallets – there is something to suit anyone’s lifestyle, irrelevant of gender. Each of the wallets feels individual, full of the care and skill of craftsmen, and the subtle color of the leather deepens delightfully with use. 11:30am-7:30pm (Wednesday until 10:00pm), Sat/Sun/national holidays 11:00am-6:00pm. 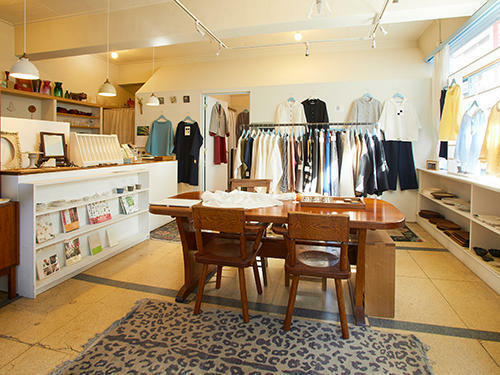 Opened in Suitengu in 2016, this store sells ethical products (judged on environmental conservation or contribution to society) sourced from both within Japan and overseas. 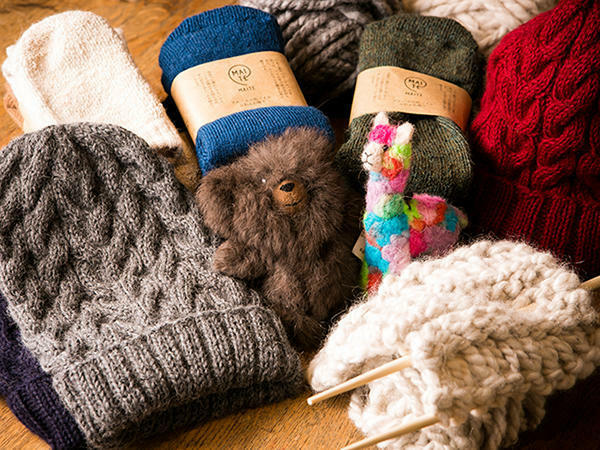 This season they have a line of warm, alpaca-wool items, focusing on goods such as knitted hats and socks. Occitanial, located near Suitengu Shrine, specializes in French confectionery. 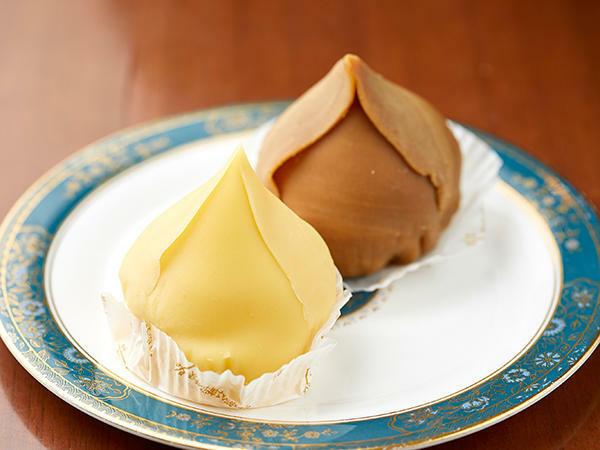 Since their opening, their original confectionery Cocco has been particularly popular, with its rich egg flavor and moist texture. They also have a wide range of seasonal items, including sweets available only for the Christmas season! Uokyu specializes in a Japanese traditional pickling technique called “kasuzuke,” which consists of pickling ingredients in sake lees. They strive to bring out the natural flavors of their seafood as well as the savory umami qualities achieved through carefully marinating fish in sake lees. They have a shop on the first floor, while the second and third floors are reserved for the restaurant where you can savor the delicious flavors of kasuzuke. 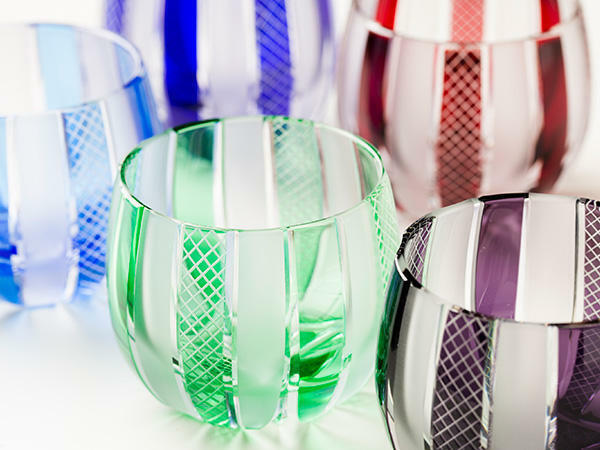 Here you can buy Edo Kiriko cut glass ítems, one of Japan’s traditional crafts. Here all items are handmade by skilled craftsmen, giving the glass a particular luster and translucence. In the workshop corner you can try your hand at making your own Edo Kiriko item. 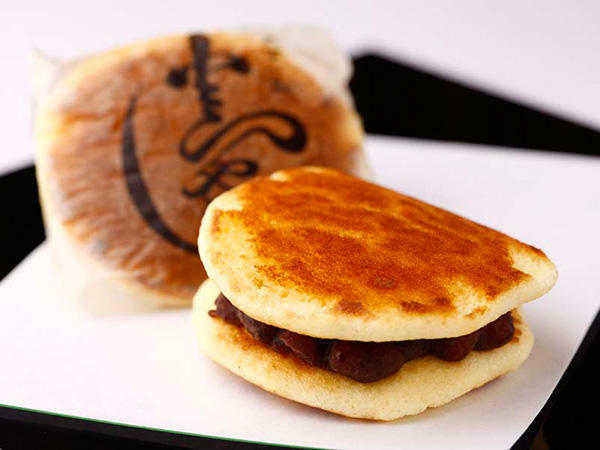 “Tora-yaki,” miniature pancakes with a red bean paste filling, are the signature product at Gyokueido. The soft cakes are decorated with a distinctive tiger-stripe pattern. The store also sells over 30 varieties of Japanese pastries, whose shapes and coloring vary with the seasons. “Iro Monaka,” a colorful variety of traditional sweets, is one of the most popular products at the Tokyo branch of Tsuruya Yoshinobu, a venerable business based in Kyoto. Customers can also enjoy soft sweets made on the premises in the shop’s eat-in corner. Eitaro Sohonpo sells sweets ranging from traditional favorites to fresh seasonal sweets and baked confections. 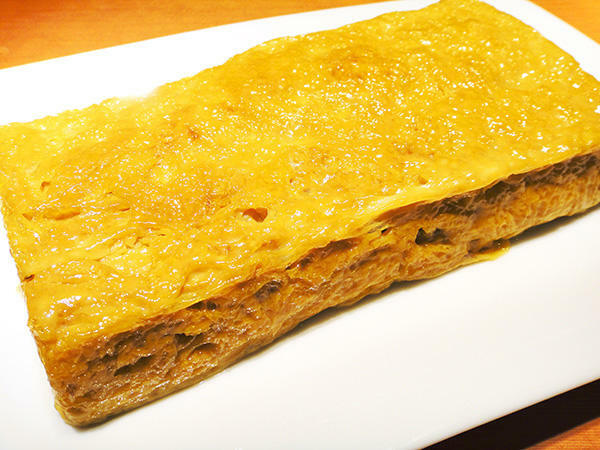 Kintsuba red bean cakes and triangular hard candies are enduring favorites. 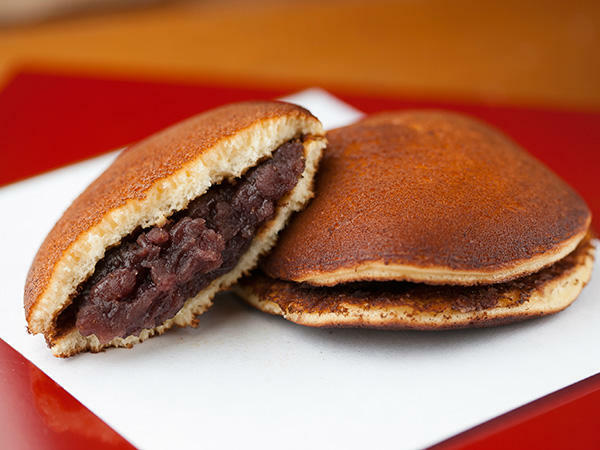 The specialty at Seijuken is hand-made dora-yaki, mini-pancakes filled with succulent red bean paste. Both large round pancakes and smaller oval pancakes are available. 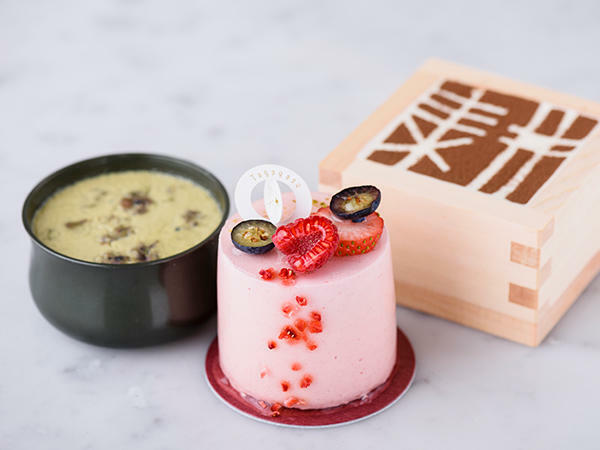 Nihonbashi Nichigetsudo’s sweets range from the traditional to distinctively modern coffee- or cream-flavored creations. The shop’s famous red and white cakes and dora-yaki red bean paste pancakes can be decorated with custom prints for special occasions. Confectioner Miharado sells a complete range of Japanese and Western-style snacks and sweets, from rice crackers to soft wagashi cakes and western-style cakes and pastries. 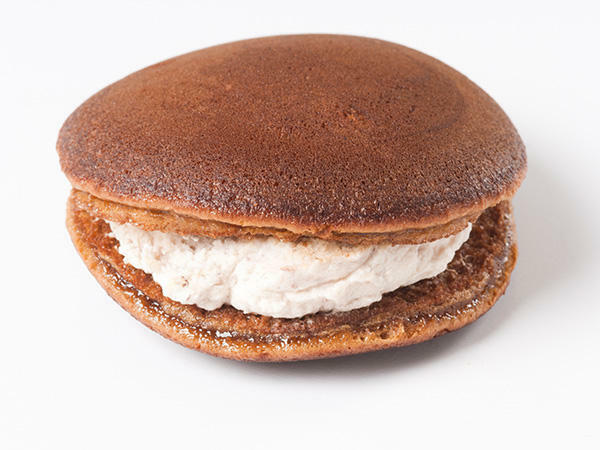 Famous for its monaka cakes said to protect against misfortune. One of the highlights of this store is their 'kogane-imo', or 'golden potato' sweets, named so because the shape perfectly resembles a sweet potato. 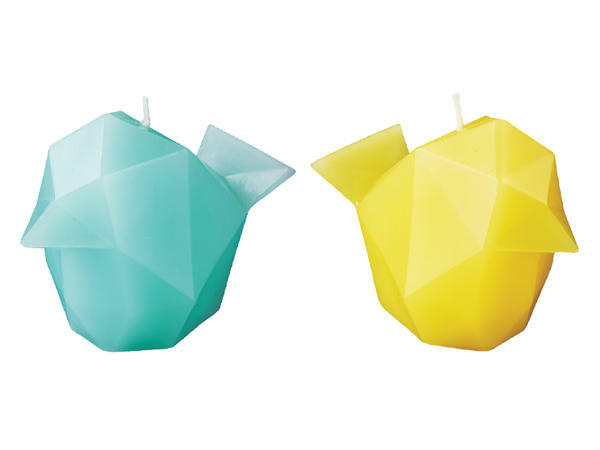 When you unwrap it, the scent of cinnamon will fill the air, in perfect harmony with the sweetness of the confectionery. 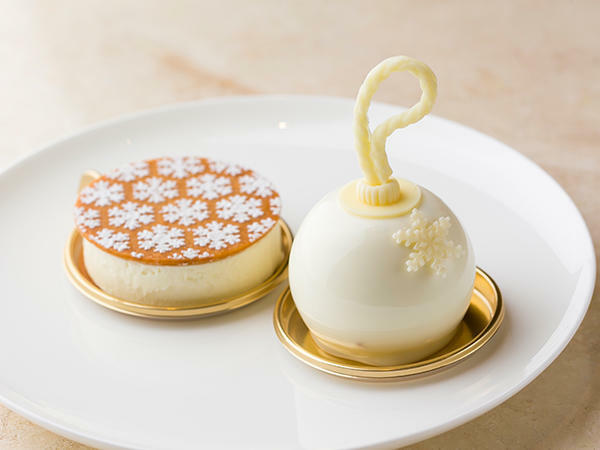 You can enjoy their sweets all year round, as they offer new specialities based on different seasons and special events. 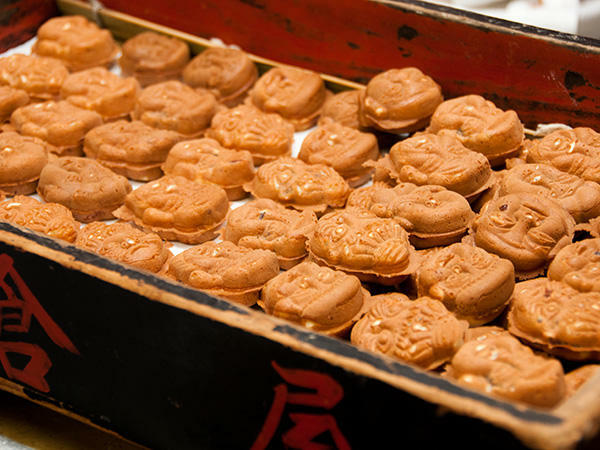 Itakuraya is famous for ningyo-yaki, variously shaped red bean paste-filled cakes cooked in cast-iron molds. Also available as grilled cakes without the red bean paste filling. 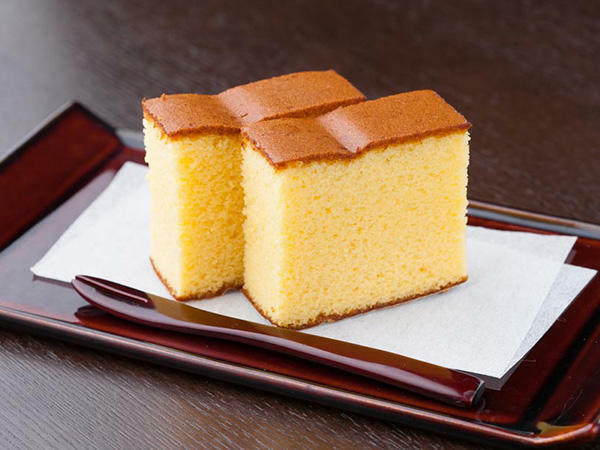 Bunmeido is well-known for castella cake, sponge cake made from eggs, flour and sugar. Special variations are made with extra eggs or sweetened with honey. The café on the premises is a great spot for a quick break or a light meal. 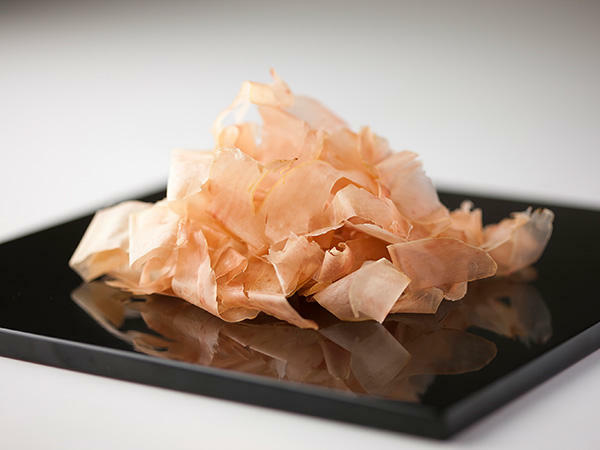 Ninben’s specialty is katsuobushi shaved dried bonito, an essential ingredient for the dashi stock that underlies Japanese cuisine. Customers can buy freshly shaved bonito, and it’s also sold in handy packs, along with various flavorings and other food items. Specialist purveyor of katsuobushi shaved bonito and other dried foodstuffs, Yagicho Honten is a trusted supplier to professional chefs. Other dried foods sold here include kombu kelp, various types of beans, sesame seeds, shiitake mushrooms, and udon and soba noodles. Yamatoya sells katsuobushi shaved dried bonito, additive-free and carefully prepared by skilled craftsmen. 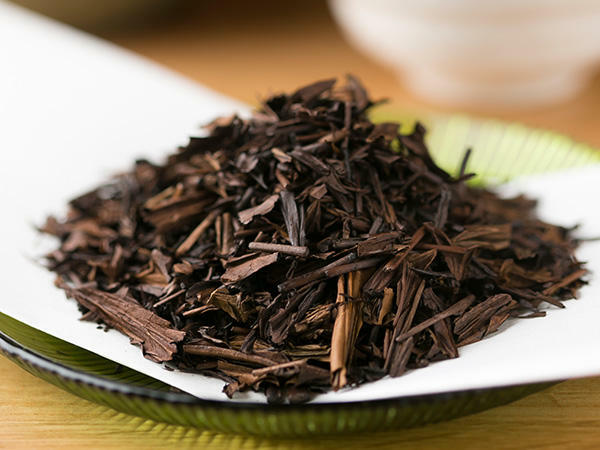 Its packaged products include katsuobushi topping for rice and kombu kelp, a nutritious and energizing snack. 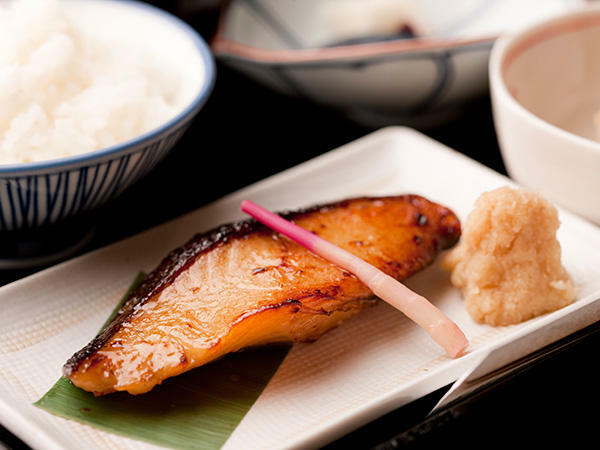 Uokyu sells sablefish, salmon and other fish marinated in sake lees. The main store has a restaurant on the premises serving Japanese cuisine. This liquor shop stocks a wide variety of rare sake rice wines, amazake fermented rice drinks and other rice-derived liquors. 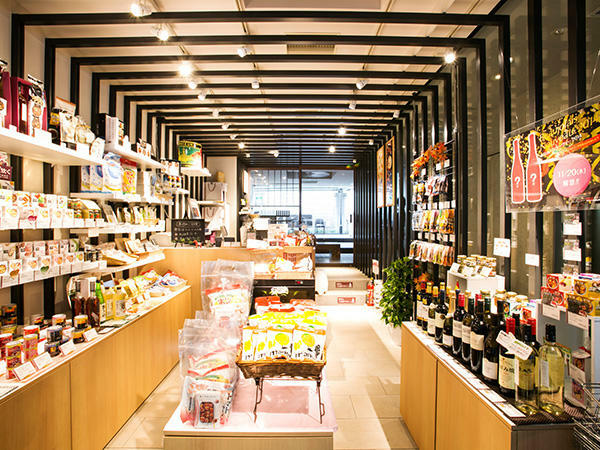 It also carries wines and shochu distilled spirits. 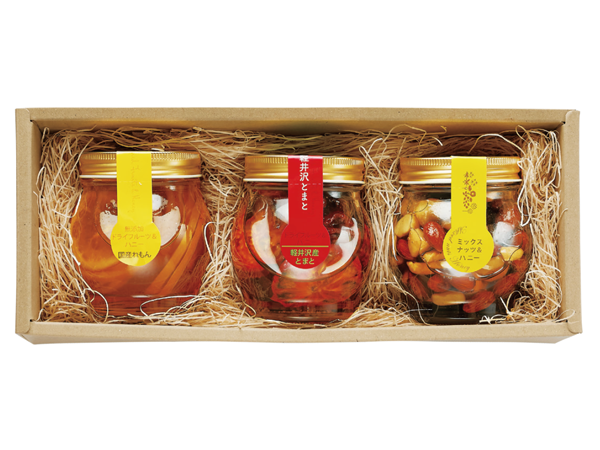 Roji Nihonbashi features over 200 varieties of products, ranging from the “K&K Kantsuma” luxury line, a headline product popular for gift-giving, to canned fruits, rice crackers and tidbits for snacking. 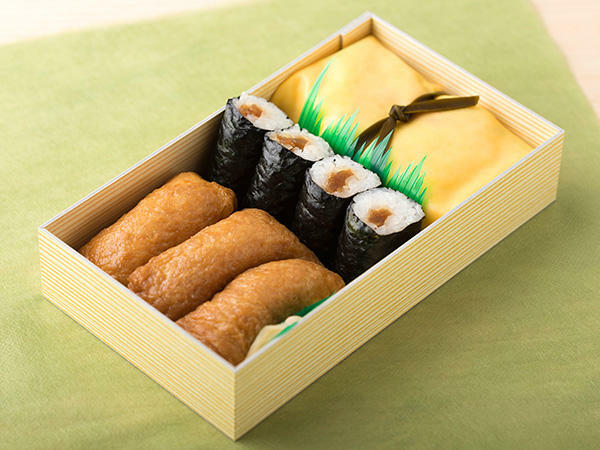 Famous for its inari-zushi, sushi rice stuffed in pockets of thin, deep-fried tofu slices and a great combination of rice vinegar and sweet flavors. It also sells an extensive range of pressed sushi featuring seasonal ingredients. 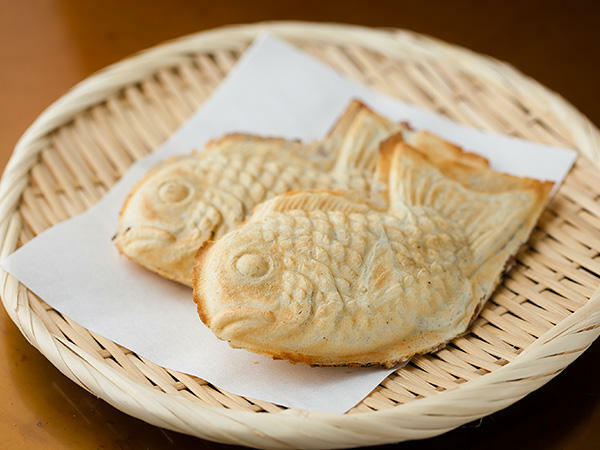 Yanagiya is one of Tokyo’s top three names for tai-yaki, cakes with a sweet bean paste filling cooked in sea bream-shaped iron molds, and prepared exactly the same way as when the shop first opened. The crisp, fragrant crust is a perfect match for the sweet filling. 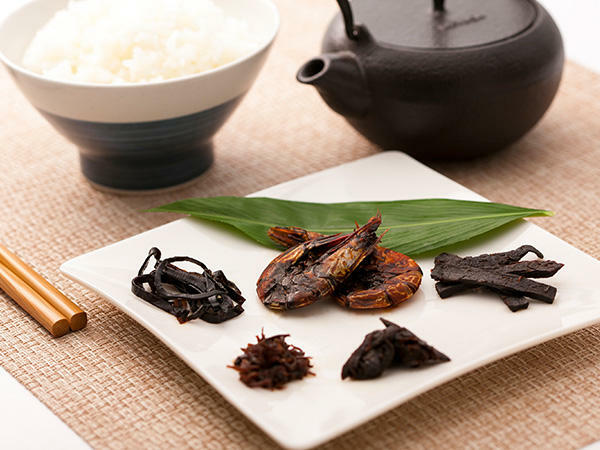 The signature product here is tsukudani, fish, shellfish, laver or vegetables simmered in soy sauce and sugar. 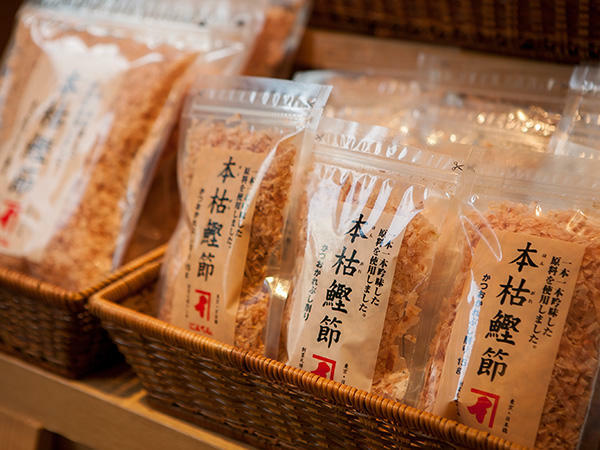 Made entirely free from artificial flavorings or preservatives, “Edomae Tsukudani,” Nihonbashi Funasa’s original product that’s still produced today, is popular for its sweet-salty flavor. 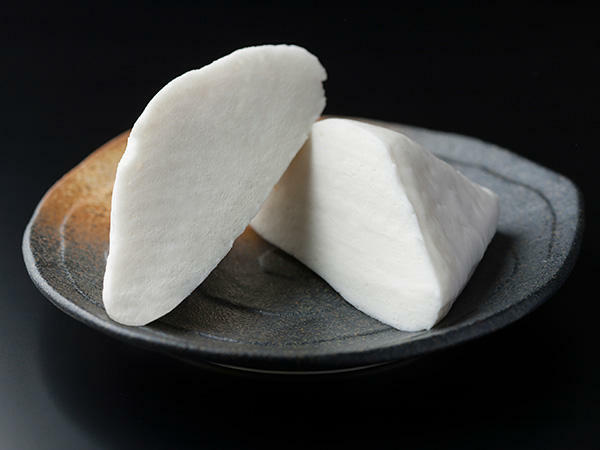 Futaba specializes in tofu products of all kinds, from regular and fine-textured tofu to aburage, deep-fried sliced tofu, and ganmo, deep-fried tofu cakes containing a variety of ingredients. 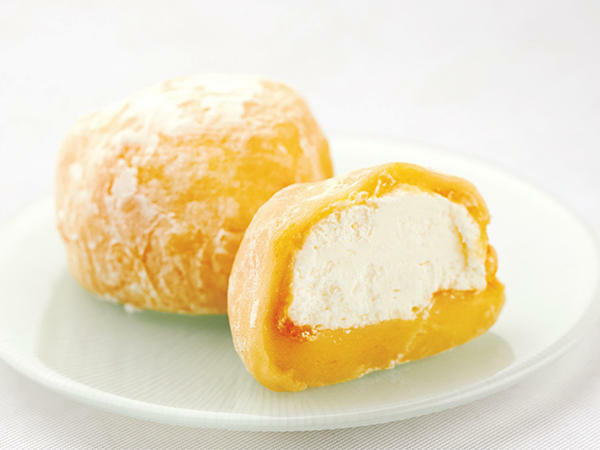 It also sells donuts made from soybean lees and soft-serve ice cream flavored with amazake fermented rice drink. Specialist poultry purveyor, selling free-range and brand-name chicken from all over Japan. A popular sideline is the store’s Japanese-style omelet, made daily from fresh eggs and dashi broth. 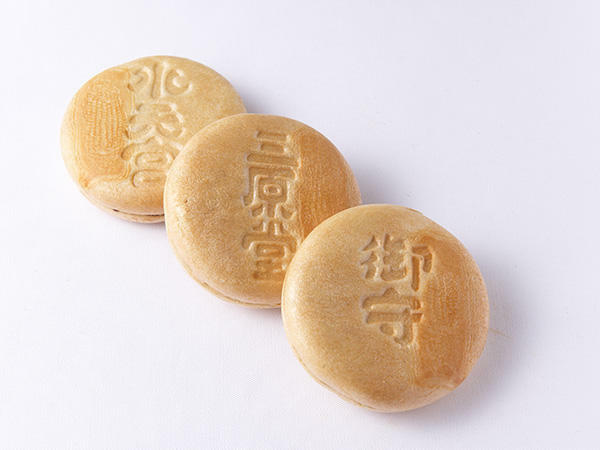 One of Kanmo’s most popular products is hanpen, feather-light fish paste cakes. The shop also sells kamaboko and other fish paste products often eaten in oden savory stew. 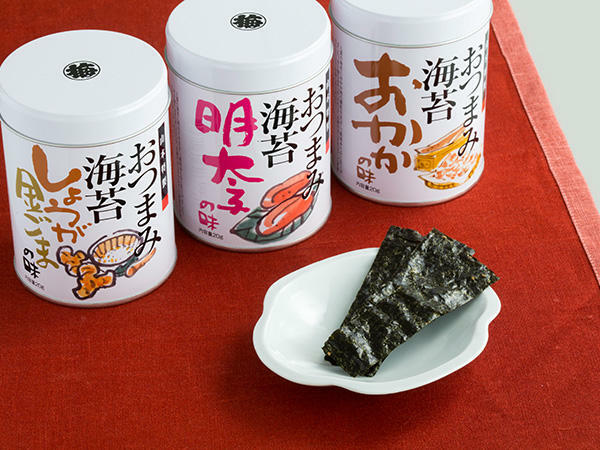 Spicy flavored or roasted nori laver is among Yamamoto Noriten’s most popular products. Other items for sale include limited-edition creations or specially packaged sets in collaboration with popular animation characters. Best-known for its popular sencha green tea, Yamamotoyama pioneered the cultivation of premium gyokuro green tea. The in-store café serves green tea and Japanese sweets. In addition to green tea, the store sells nori laver and tea-serving implements. 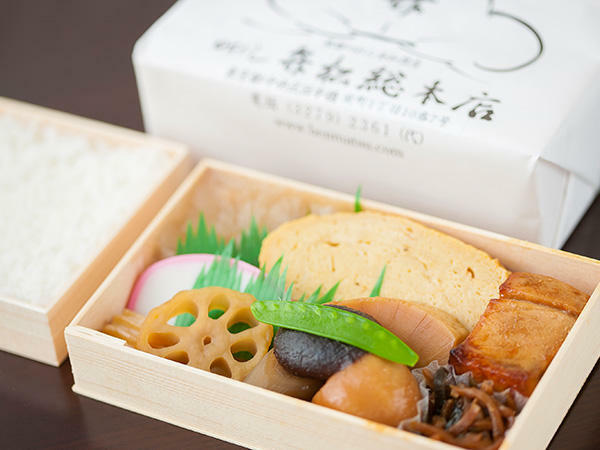 Benmatsu is the go-to place for either plain or fancy box lunches. It’s renowned for the distinctive sweet-savory taste of its preparations. 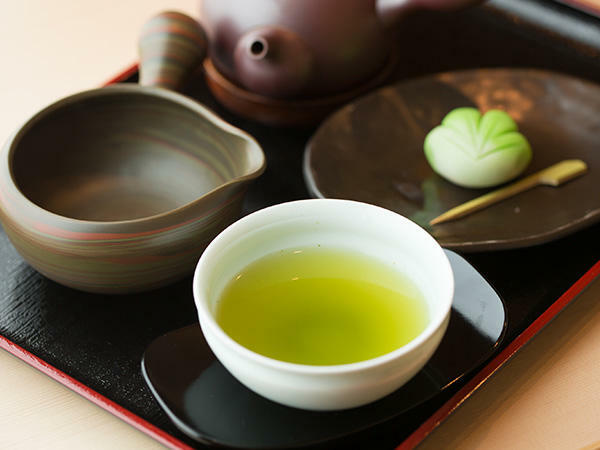 The featured product at Mori-no-en is hoji-cha, parched regular green tea, with a distinctive aroma and smoky flavor. 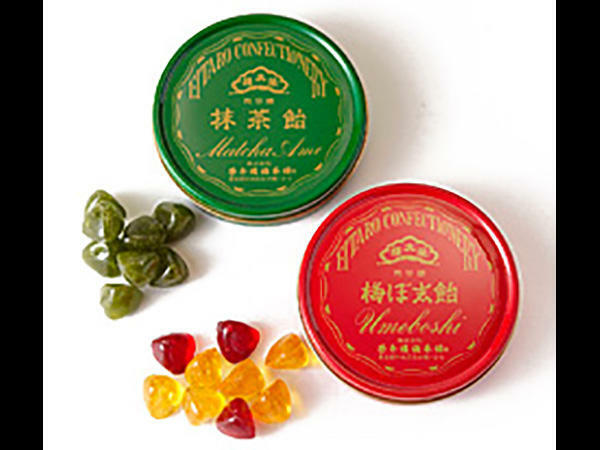 Also available are hoji-cha-flavored Japanese- and Western-style confectionery, which can be enjoyed at home or in the store’s second-floor café. 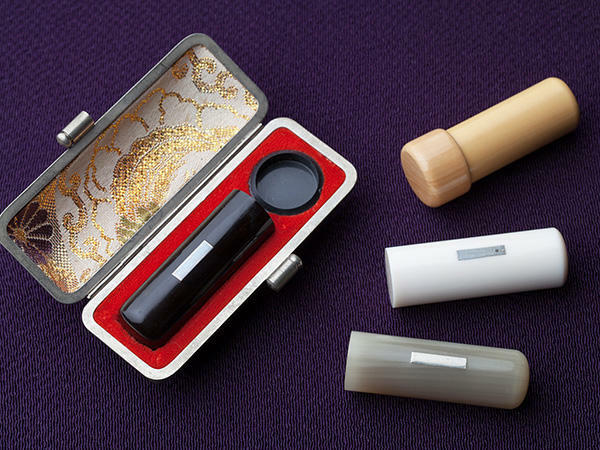 Inkan, personal seals, are a necessity in daily life, and Sasaki Inten provides seals made from top-quality materials. Special attention is paid to carving owners’ names in the appropriate style and spacing, to produce seals that will last a lifetime. 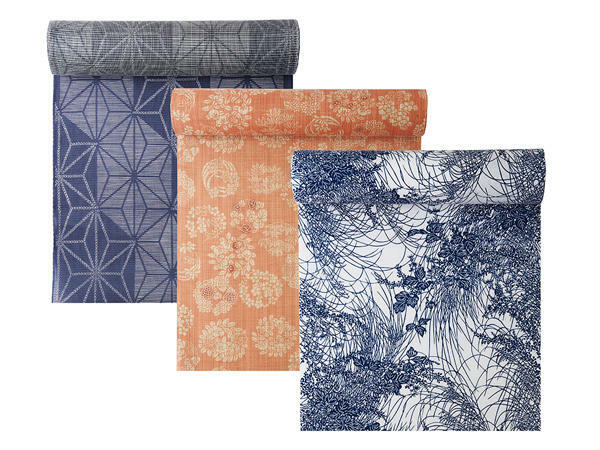 Specializing in stencil-dyed cotton made into light summer kimono, wrapping cloths and other articles, Chikusen creates 1,000 new fabric designs every year. Designs range from elegant formal motifs to casual renderings of flowers and birds. Brooms and brushes of all kinds are sold here. 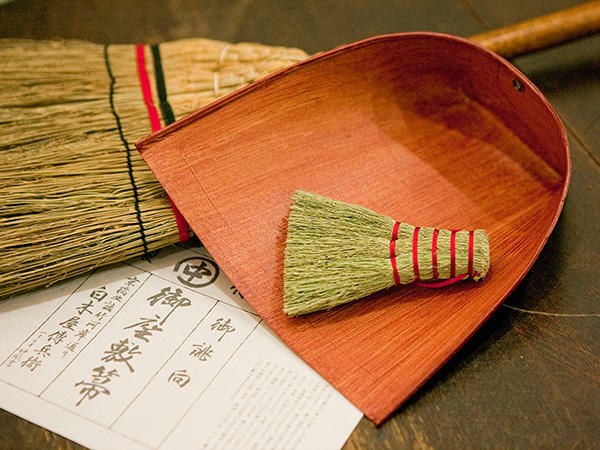 Made from flexible and resilient natural fibers, Shirokiya’s brooms are light, easy to use, and last for years. Offers a full range of brooms and brushes, including handy clothes and dust brushes. 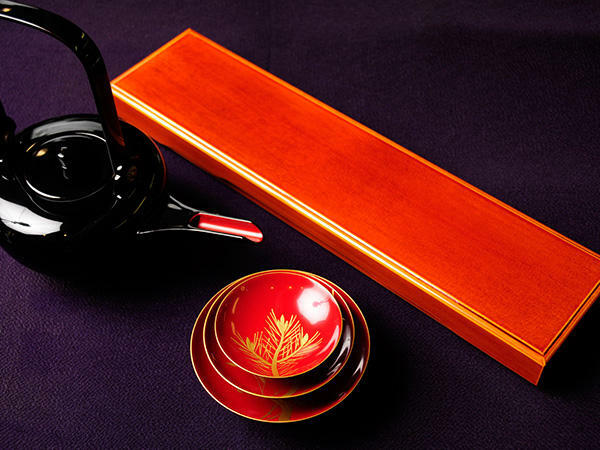 Zohiko produces and sells traditional Kyoto-style lacquer ware. Founded 350 years ago, it has perfected lacquering and maki-e (gold or silver powder sprinkled over lacquer) techniques, presented today in the form of tableware, jewelry boxes or ornamental items. Traditional lacquer ware techniques are prized at Kuroeya, which sells lacquer ware from all over Japan. 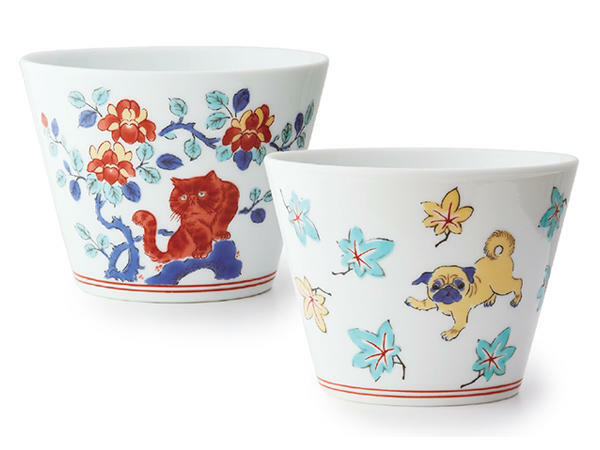 In additional to traditional Japanese tableware, the store also carries wine coolers, coffee cups and other Western-style items. Specializing in calligraphy supplies and washi Japanese paper, Yubendo carries over 100 varieties of brushes for writing and painting, as well as inks and pigments for Japanese-style painting. It’s also popular for seasonal items made from washi. Ibasen sells flat and folding fans, in dozens of colorful designs. 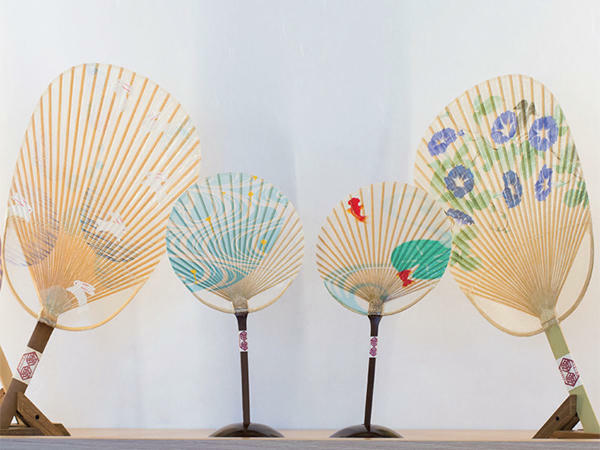 Fans featuring illustrations from ukiyo-e are especially popular as souvenirs from Japan. Watabun sells obi sashes made of brocade woven and dyed according to techniques perfected by Kyoto’s Nishijin weavers, as well as brocade neckties and wrapping cloths. The store also holds workshops on kimono wearing. Edoya is a shop specializing in brushes large and small, including an extensive selection of hairbrushes, clothes brushes and other brushes for daily use. Makeup artists and other professionals can find just the right brush for their needs here, and it’s a great place for visitors to pick up an unusual souvenir. 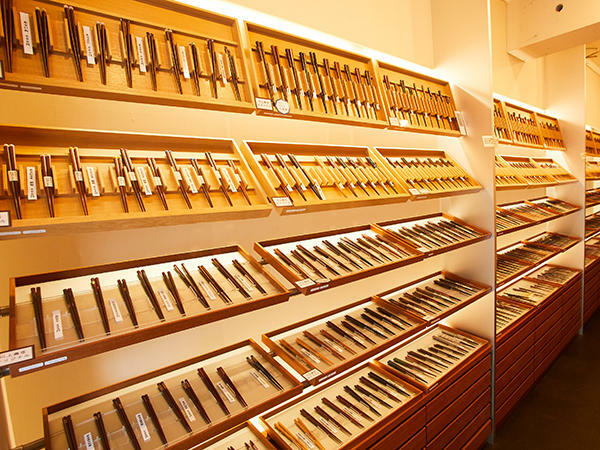 Founded over 230 years ago, Ubukeya specializes in cutting tools. Housed in a traditional wooden building, the shop is filled with knives, scissors, tweezers and other implements to satisfy every need. The shop can also sharpen cutting tools. Purveyor of over 1,000 different types of knives and other articles for daily use, be they for grooming, gardening or handicrafts. 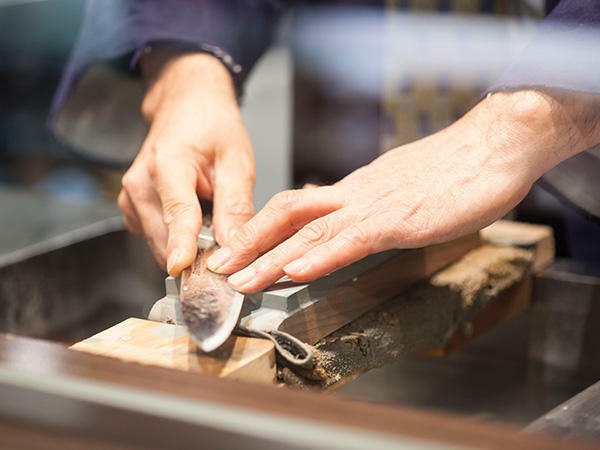 Craftsmen at Kiya can be seen at work sharpening knives in the store. 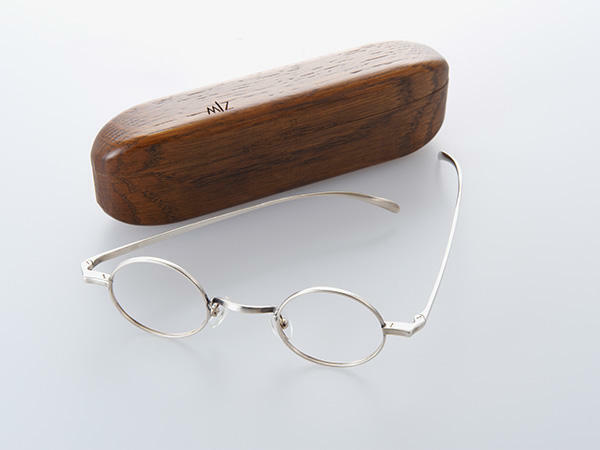 Japan’s first eyewear store, Murata is one of only a handful of shops in Japan dealing in custom-made eyeglass frames. Its timeless designs, little changed from original models, are fresh and modern. Established 300 years ago, Saruya is Japan’s only store specializing in toothpicks. The hand-crafted toothpicks sold here are fragrant, resilient and soft on the teeth. Ozu Washi stocks over 2,000 varieties of washi Japanese paper from all over the country and sells sundries made from this handmade paper. A workshop on the premises offers hands-on experience at paper-making. The store also has a gallery and offers classes teaching how to use washi for various crafts. 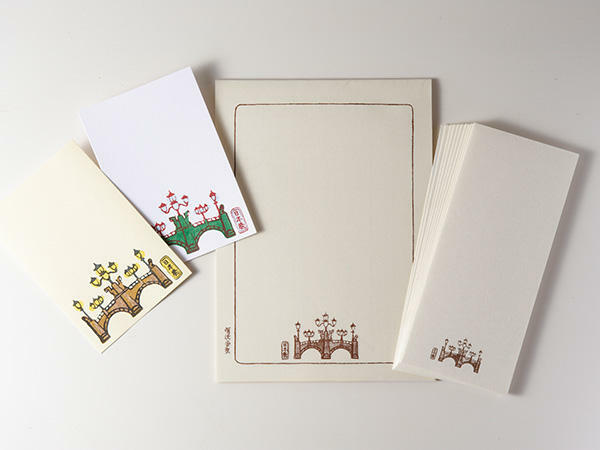 Haibara specializes in items made from washi paper, from stationery to envelopes and decorative paper cords. It also sells storage boxes in various sizes, flat fans and other light, easy-to-carry souvenirs featuring designs and patterns both old and new. 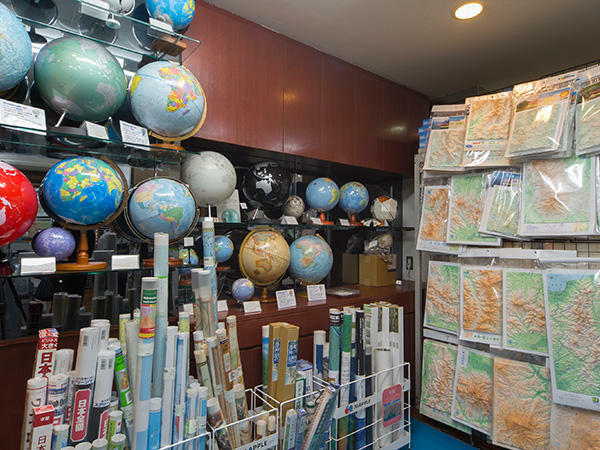 Map specialist Buyoodo carries a full range of maps, from topographical maps issued by the Geospatial Information Authority of Japan to aerial maps, imported maps and reproductions of old maps. Bookseller carrying all types of books from general interest subjects to specialized academic works and English-language publications. Also well-known for premium stationery and writing implements. A popular dish at the third floor café is hayashi raisu (hashed beef with rice). 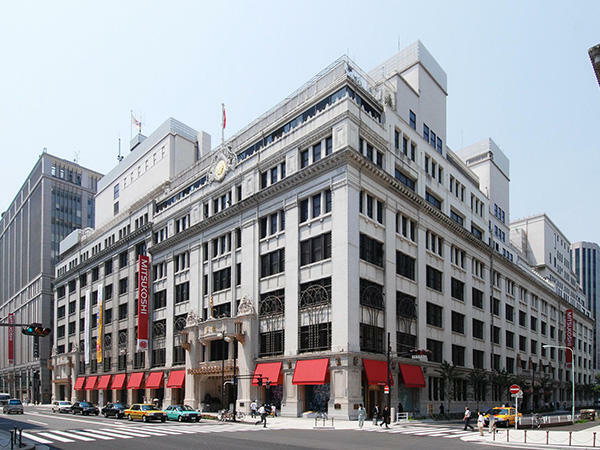 Founded in 1683 as a kimono seller, Nihonbashi Mitsukoshi became Japan’s first department store in 1904. The reclining lions greeting shoppers at the main entrance and the ornately decorated interiors add an air of prestige and refinement to an enjoyable shopping experience. 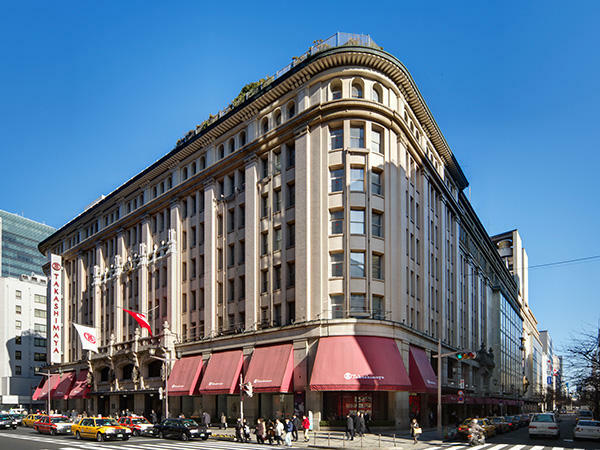 The building housing Takashimaya Nihombashi is registered as an Important Cultural Property, a first for a department store. “Watch Maison,” opened on the premises in 2015, features the world’s largest selection of timepieces.